Ok – After watching the video below, I decided I needed to try a little experiment. I applied some Scotts Grubex in areas where my lawn had brown spots and I watered in these areas. As I looked at my own lawn, I could see that these areas were starting to take over other areas of my lawn and I needed to stop the growth. Hopefully, I will have some good news in the next few days regarding this yard application. The biggest mistake I made this week was applying my grub killer during the first week in June. Typically, a grub application in the end of May, beginning of June time frame is a very good time to apply grub killer to the lawn. However, this year has been highly unusual with the increased rainfall in May and June. July has been much more normal with respect to temperatures and rainfall. As a result, I believe my application may have been washed away and probably did not stay in the ground as in previous years. 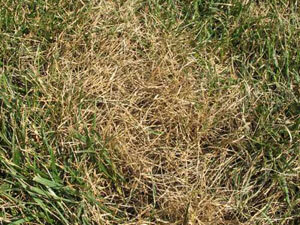 This past week, I saw several, little brown spots in my lawn. I am going to have to address this issue by applying a little more grub killer sparingly over the next few days. My fear is that if I do not address this issue now, I may see more brown spots in the week to come. It is one of those issues that I’ve been able to stay ahead of the issue, but this year I did not make the necessary adjustments to control the situation. Here is a great video on what types of grub products to try.